This is an excellent blood pressure monitor. It's very sturdy and has 4 small feet to keep it in place once you set it down. Instructions were clear and easy to follow. It powers up quickly and is easy to use. The cuff automatically inflated and the heart icon manifests on the screen. 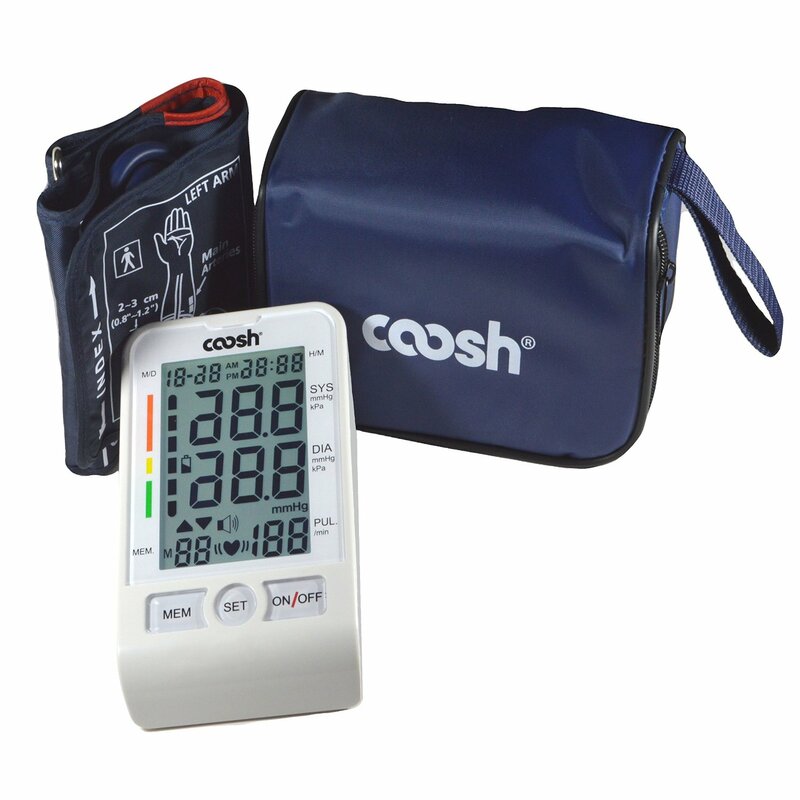 The LCD display screen has great clarity and displays blood pressure classifications of optimal, normal, high normal, grade 1 hypertension, grade 2 hypertension and grade 3 hypertension. My only complaint, if it's a complaint is that the cuff is the smaller one. So, I was not able to use it. But, I did administer it to another for review purposes. 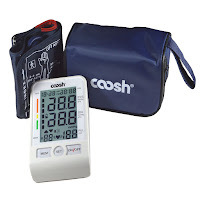 The Coosh Blood Pressure Monitor also arrives with a 31-page booklet which includes some really useful information. Seriously. Did you know that you are not supposed to use a blood pressure kit for more than 3 times in a row? I know now. The Coosh also comes with a navy blue case with a handle for carrying. I don't think that I've ever reviewed a blood pressure monitor that came with a case. Nice!